I thought Lost Love in Times was having a bad hair day but it seems that another production has it worse. Is this the beginning of a trend of unflattering hairdos? I sure hope not. 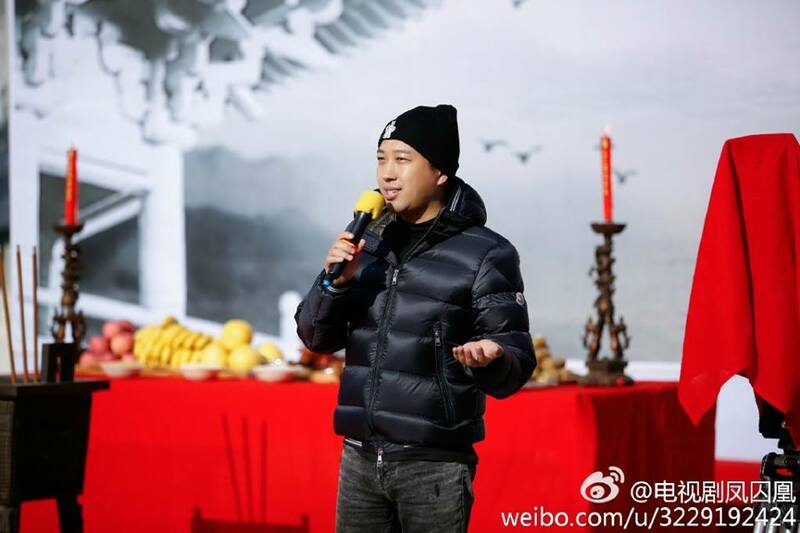 Feng Qiu Huang 凤囚凰 is Yu Zheng's newest drama that is based on a novel of the same name. 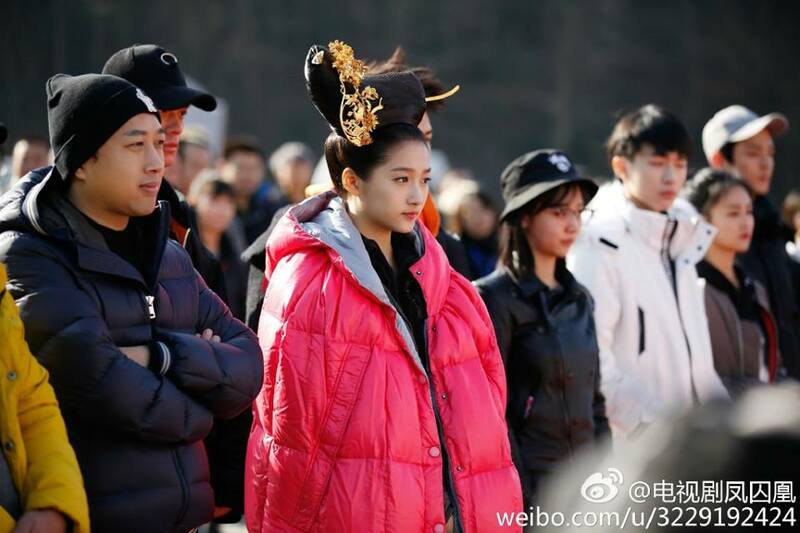 It recently held its opening ceremonies in Hengdian, which was attended by Guan Xiao Tong (Novoland) and other members of the cast. 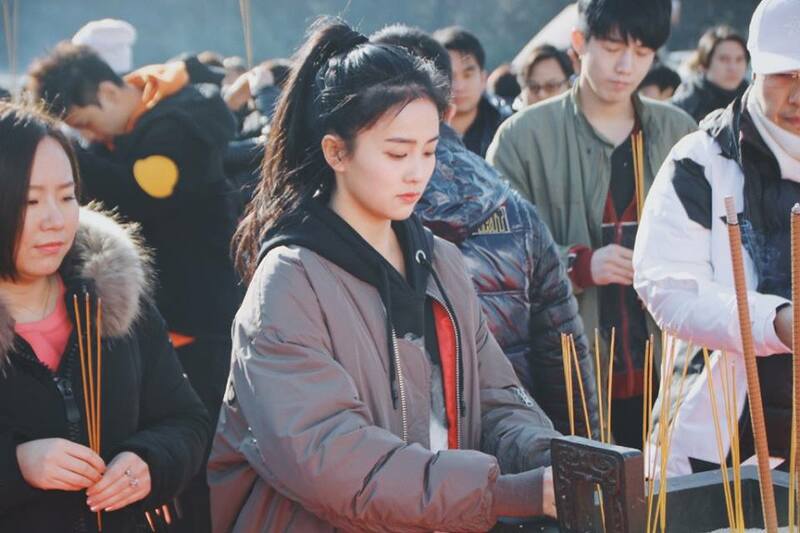 The elephant in the room is undoubtedly the issue over the casting change from Yang Rong to Guan Xiao Tong when the former was confirmed for the role as early as three years ago. 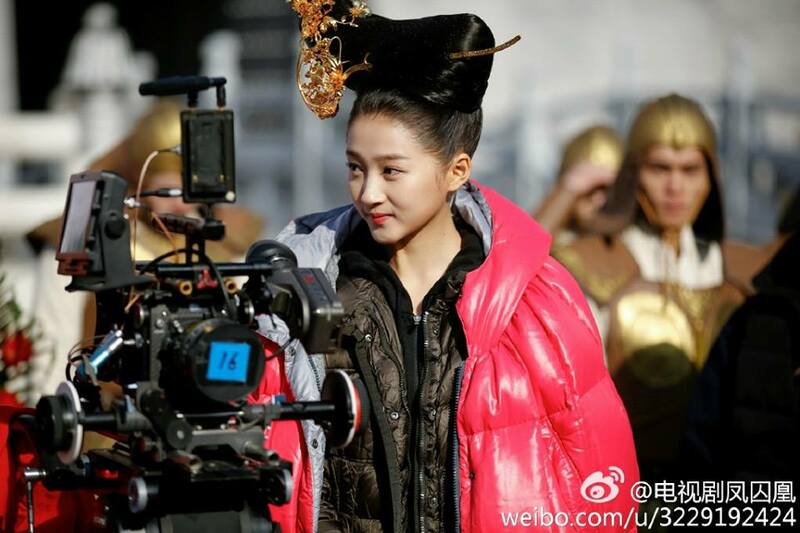 The male lead was supposed to be Mi Re but it became Song Wei Long at the last minute, both of whom were in Demon Girl. Whatever the reason is, the change does not sit well with netizens though Yang Rong's recent weibo post indicates that all is well on her side. On January 21, she says, "Feng Qiu Huang is a novel that I like very much. Director Li Hui Zhu is a director that I admire very much. Wishing Feng Qiu Huang good luck on the opening ceremony. You can also check out the novel's English translation at AsianHobbyist. Please tell me the places on this drama, I would like to go everywhere!